Our society nowadays is full of so many unsung heroes thriving to help those who are in need. In this article, I would like tell a story about an old man named Bai Fangli and his selfless acts of helping students have a better life by giving value to their education. Bai Fangli is a father. 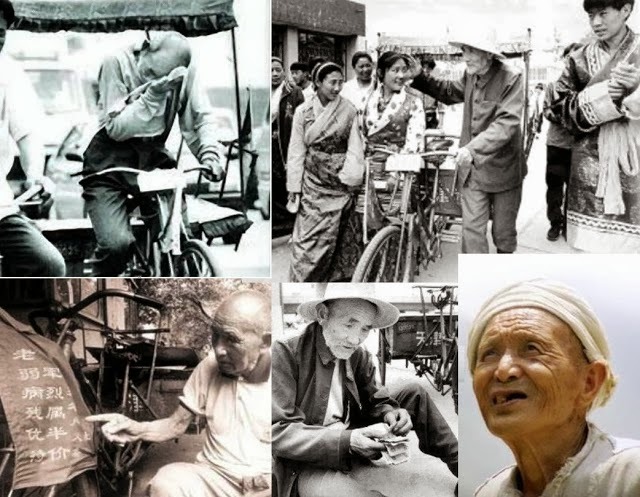 In 1987, when he was 74 years old, he quitted his job for retirement and went back to his town. Upon arriving to his town, he saw a huge number of out of school students and asked why are they not going to school? And the reason is because they don’t have the means to finance their studies because of being poor. Bai’s heart was moved and what he did is he offered his long time earned income as a donation to the schools in his hometown to support students. A total amount of 5,000 yuan was donated. Bai then went back to work and earned 20 – 30 yuan daily just to support the students with their studies. This was something “not good” for his children to hear that is why they persuaded him to change his mind – to have a paradigm shift, but still, he continued what he was doing despite his old age. He continued working and driving a pedicab was his final choice. He kept his earnings and later went to Xiu XIuXiang, a worker of the Educational Support Fund to give his donation and after nearly having an age of 90, he told the students that he could not work anymore because of his age. They all moved to tears. At the age of 93, Bai Fangli died with a terminal lung cancer in the year 2005. Such a great man! A hero indeed!